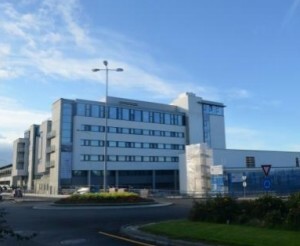 New building and rehabilitation project of Haugesund Sanitetsforenings Revmatismesykehus (Rheumatic Hospital) is running in the years 2012-2016. NST Byggservice as are doing all floor- and paintworks on the Project, which is the biggest Construction Project in Northern Rogaland so far. Vea nursing home was finished by the year-end 2012, and NST Byggservice as did the floor-, tile-, masonry including brickworks, and paintworks on the project. Gassco‘s office building has had several expansions, and NST Byggservice as has been a part of most of them. NST Byggservice as did the floor-, tile-, masonry including brickworks, and paintworks on the project. NST Contracting as has done a number of projects with scaffolding, industrial cleaning and surface protection for Aluminium factories. At Sør-Norge Aluminium AS in Kvinnherad in South Western part of Norway NST Contracting as has protected more than 15.000 sq.m of roofs, as well as Surface Protection of pipelines and various other metal constructions in the factory. At Hydro Aluminium NST Contracting as have done various projects with cleaning and surface protection of facades and various constructions. The company has also done work with concrete – and facade renovation. 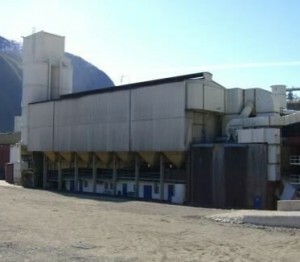 The work is done in factories in Karmøy and Høyanger. NST Byggservice as has done floor-, tile, – paint, – and masonry works in several schools and public buildings. 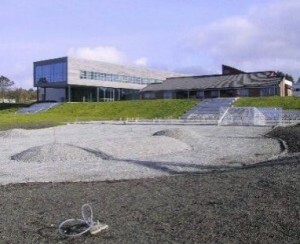 “Karmsund Videregående Skole” was the biggest construction project in northern part of Rogaland County at the time it was built. NST Byggservice as did all the painting and floor works on the project. NST Byggservice as has also worked at several office buildings. 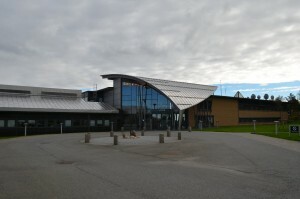 Solstad Offshore new main office building in Skudeneshamn, soutern part of Karmøy Island. NST Byggservice as did all painting, floor- and tile works. NST Byggservice as has worked at a lot of public buildings. 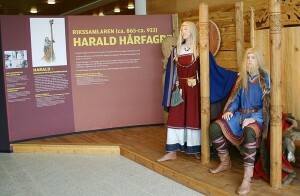 Nordvegen History Centre is another well known and special building where NST Byggservice as did the painting and the floor works. NST Group has since 1995 done a considerable amount of projects with scaffolding, industrial cleaning and surface protection on ship- and floating rig projects. 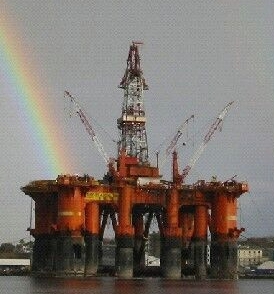 NST Contracting as is the company that has done most combined projects with scaffolding and surface treatment on floating rigs during dockings in the Haugalandet area. Saipem 7000 is the largest lifting vessel in the world, and NST Contracting as has through the years done many projects onboard. Painting of the big cranes is one of the jobs done by us. 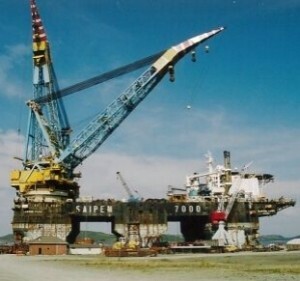 The rig West Delta was towed from Singapore to Norway in 1996/97 for an upgrade, and later on an assignment on the Norwegian continental shelf. 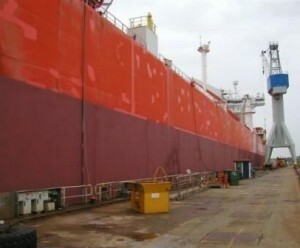 NST Contracting as had supervision and painting in the entire towing period (about 3 months) included scaffold and painting during the upgrade in Norway afterwards. 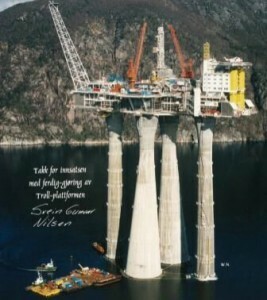 The Troll project is the largest construction on earth that has been moved by people. NST Contracting as did the Surface Protection. NST Group has worked at shipyards from Ålesund to Drammen with ships in dock, at shore and during transit. We have done all types of scaffolding and surface protection works from reparations on the hull, tankworkes, interior works etc. We have also worked at new buildings within the same. Åsgard “C” had a rebuild/upgrade and classification in 2004. NST Contracting as did more than 25000 m2 on surface protection at hull, tanks, deck and superstructure within less than 10 days. 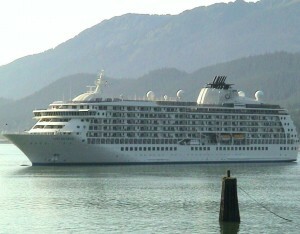 “The World” is the largest apartment ship in the world, and it was built in Norway. NST Contracting did all the paint work on the ship. Adress: Årabrotsveien 21E, 5515 Haugesund, NORWAY. Telephone: (+47) 52 700 200. Email: mail@nstgroup.no.